I mentioned crosswords in the "About me" thingy on the right. I daresay there's a good degree of overlap between addictions to crosswords and Boggle. I began boggling maybe in the late 70s, I'm pretty sure at the inducement of my close friend Marc who is, among a few zillion other things, a crossword and Scrabble fanatic. We played almost every time we got together, jiggling that cube, racing to find the words. The activity dwindled in the past bunch of years (though we still Scrabble with some regularity) but a month or so ago, I found a link to WeBoggle on the fine geekpress.com site. The addiction has been total. It's very well designed with an excellent dictionary serving as referee. Best, there's a new game every 3 1/2 minutes or so (the game itself has a 3-minute limit) and you're playing in real time against whomever else is on-line. Crowds seem to range between 75-200 people in my experience. Quick typing fingers help. I've managed to eke out wins 4-5 times, finished in the top 10 pretty often, though I'd guess my average finish is about 15th. I'm almost always astonished by the number of words I simply don't see. There was a study I read about recently, I think on the Edge site, where the subject was asked to watch some people dancing or exercising on a video during which a person in a gorilla suit walked by in the background. Almost 50% of the participants failed to see it. Amazing; gets you wondering how much you're missing every day...Boggling does something similar. Great fun, anyway. 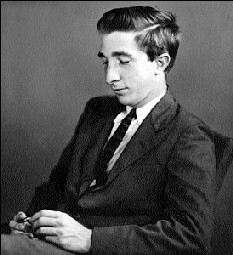 I spent much of my adult life thinking that I wouldn't enjoy writers like Updike. There was something about that generation, not quite of my parents but a good 15-20 years before mine, that left a bad taste in my cultural maw. That just-pre-hippie (though not Beat) bunch of effete white guys who wrote about the angst of wealthy Westchester-ites. I just couldn't imagine having any interest in them. I do remember reading, maybe 30 years ago, a large collection of Cheever short stories, probably in my folks' collection, some of which I thought very strong but I shoved it aside in my head, arcing out into more exotic terrain. Updike, Roth, Mailer, Heller; all these guys were back-burnered and then some. About ten years ago for some reason, I read Updike's "S." and loved it. I then got ahold of "In the Beauty of the Lilies" and loved it more. I read "Toward the End of Time" and thought it was one of the finest SF novels I'd even encountered. "Seek My Face", however, muted my enthusiasm a few years back and I let my nascent Updike passion lay dormant for a bit until, a couple weeks ago, figuring I should start at, or near, the beginning, I went out and bought "Rabbit, Run". What an amazing novel. A few years ago, I'd read "Revolutionary Road" and was totally knocked out, thinking that this was about all that could be said re: 50s middle class America. While that one holds an edge in pure ferocity, "Rabbit, Run" might even do it one better in thoughtfulness and deep understanding. His empathy for the generally repugnant central character is wonderful/terrifying as we (I think I can generally assume, at least among those of us raised in similar environments/cultures) recognize more of ourselves than we're usually comfortable admitting. All the more shocking and impressive that this was written by a 28-year old. I'm fairly sure I wouldn't have had near the appreciation I do had I read this much before I was 40. Updike beautifully lays out the antecedants for much that would follow in the ensuing decade. You can feel the 60s counterculture bubbling beneath the psychological surface here even if it's given no direct allusion. I brought him up on a Jazz Corner thread and opinion seemed split pro and con on Updike in general. The cons appeared to have similar reservations to those I held before finally taking the plunge. I think at least some of the dislike has to do with the reluctance to deal with some unsavory self-recognition. On Saturday evening, Carol and I journeyed into the bowels of Brooklyn (Bushwick), looking for a junk shop called Goodbye Blue Monday, a site that has been hosting musical events for a little while now. A friend of hers, Rick Brown, was performing that evening in duo with Mark Howell, a situation they call Inconvenient Music. We found the shop, nestled in among various closed and miserable loooking places, under the rumble of the elevated J Train. The front room, reasonably jammed with detritus (a lot of vinyl I would've loved to pore through...) included a small bar and stage. Wending our way through some back areas, we came to the "garden", half open to the sky, half sheathed by corrugated tin, where Rick and Mark were playing. It's a cool little space, packed dirt floor and all. I had little idea what to expect, musically speaking though eyeing the instrumentation initially led me to think I was in for something out of the burgeoning psychedelic Americana quasi-movement with which I'm not at all familiar. Howell played electric guitar, cornet and percussion while Brown wielded a G3, an ancient, tiny electric keyboard, a wooden drawer (complete with shoulderstrap) affixed with sundry jangly stuff and a couple of homemade "trumpets", consisting of plastic cones with sax mouthpieces. And he sings, too. Actually, given the set-up, I'd've expected more of an improv set but the pair did pretty much nothing but short, composed songs. The first set featured odd, blocky rhythms that never quite let you get comfortable (a good thing) and even odder song structure; it almost sounded folky but would always slither away. One really nice piece for cornet and cheapo organ leaked into Tony Conrad territory. The second set featured a surprising and lovely cover of Don Cherry's "Trans-Love Airways" from his sublime (and little known--not yet released to disc) "Relativity Suite" followed by a work that was pretty darn close to the Art Ensemble's "Odwalla". Good, rough-edged, funky stuff. In the front room, there was another enjoyable duo, Emma Zunz, hailing from Seattle (via Borges). Two young ladies, Annie Lewandowski (guitar, accordion, voice) and Christin Miller (guitar, noise, voice) again doing songs, this time of a resolutely quiet and plaintive sort. Very effective--some beautiful harmonies and a nice dash of noise via Miller's guitar-bowing (what hath Rowe wrought!) and manipulation of pick-ups and other small items. A lovely, unusual evening, all told. At home, I did the necessary googling and discovered that Lewandowski had studied with, among others, Eddie Prevost! How about that? Further, sieving out Rick Brown from his several million like-named companions (tossing "inconvenient" into the mix helped), I came across an FMU site that mentioned his past participation in a band called Fish & Roses. Hold on a second, I thought, that rings a bell. Troop over to the vinyl, fetch out the mid 80's compiliation "Island of Sanity" and, sure enough, there's a track from Fish & Roses with Rick and wife Sue Garner (also at the junk shop). Damn, coulda brought it for an autograph. Today I realized I probably have Howell in my collection somewhere also, possibly on a Phil Kline disc. Turns out he was a member of Frith's Guitar Quartet as well though the one time I caught them, in Victoriaville, I don't think he was there. Small musical world, anyway. Very cool. 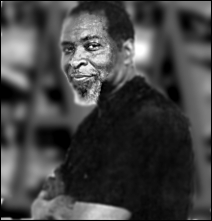 I realized that none of the Muhal Richard Abrams albums mentioned so far and, in all likelihood as near as I can recall, none of the upcoming ones, includes a good, relatively recent photo of the man, so I thought I'd locate and post one. My turntable's been broken for a while now, probably the better part of a year. It's a Nikko, one of those with the tone arm that slides itself at a perpendicular angle to the, whaddya call it, the little nubbin that holds an LP in place. It had been cantankerous for a while, not always agreeing to lower itself to vinyl; it's not like a regular stylus that you can manually place on the disc--if it doesn't wanna go, there's not much you can do about it. Makeshift solutions like stacking five or six LPs to bring the desired one up to the level of the needle met with paltry success. So, as I amble through my collection, I come across the odd album, like Muhal's "Spiral", that I don't have particularly strong recollections about and I can't play it to refresh those memories. I know it's a live performance, I think at Montreaux (? ), it's three pieces (even this--I'm writing from work and can't directly check, but that's my memory). There's one, probably called "String Piece" where the action takes place inside the piano. There's another where he indulges in what would become an increasingly unfortunate tendency toward academic atonality, by no means his strong suit. But there is one beauty, I believe called "C Song", that fits in nicely with much of the work on the 'Afrisong' LP. He's a frustrating musician from that standpoint, exhibiting a real wide range (for my taste) from gorgeous to all-but-unlistenable. Last evening was a rare thematic Record Club: Guilty Pleasures. This is a toughie for me. There's honestly very little, if anything, that I derive pleasure from musically which I feel the slightest bit guilty about. It's just kind of a foreign concept to me. On the other hand, I can readily apply it to other forms, say, movies. There's a slew of well-constructed but essentially awful Hollywood product which I can happily watch, acknowledging its core vapidity but willingly allowing myself to be sucked in and manipulated. Even if I feel guilty about it afterward. The guilt will even rebound while watching something profoundly beautiful, like Ozu's "A Story of Floating Reeds". In the middle of viewing it, the thought might well cross my mind, "Why do you ever watch that other garbage?" Good question. But I do. But with music, it doesn't work that way; I just don't listen to the equivalent of "Die Hard" or something. Books too, I guess. I mean, until I'm trapped in a cell for life and it's the only material available, I'll simply never read a Grisham novel. 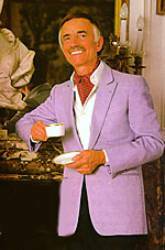 When this theme was determined, the very first thing I thought of was a recording I actually didn't own though I had it back when it topped the US Hit Parade, in February 1968: Paul Mauriat and His Orchestra - Love is Blue. That's the debonair Mssr. Mauriat up top. As a 13-year old, I absolutely loved this song. I imagine, were I able to search back even further into my memory with any accuracy, that I already had affinities for both instrumental music (I have vague notions of greatly enjoying "Wipe Out") and excessively romantic, that is to say, syrupy, melodies, both embodied in this piece. Rock bands had been incorporating faux-classical motifs and instrumentation into their songs for a year or two, fitting in well with a budding effete-ness in my own formative aesthetic. In the next few years, for instance, I'd become enamored of groups like The Nice and, a bit later, (*gulp*) ELP. 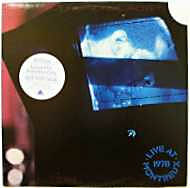 The latter's third LP was my first exposure to "Pictures at an Exhibition", I shudder to say. King Crimson would, without bothering to credit the source, use the Mars theme from Holst's "The Planets" in a puportedly epic song. Little by little, I began to realize there was this thing called "Classical music" out there and, I suppose not unnaturally, I was drawn to the Romantic warhorses, Beethoven (the symphonies not, certainly, the late string quartets! ), Tchaikovsky (The Piano and Violin Concertos! ), Rachmaninoff (the 2nd....). This effect lingered on in various guises for a long time, much to my detriment. For example, I grew to know and love much of Prokofiev (still do) but didn't get around to the inarguably more profound Shostakovich until much later and still have only made a dent. In any case, I trace much of this back to "Love Is Blue". I had it on 45rpm, played it incessantly. This at a point in time where I was beginning to wake up to Hendrix et al. Weird juxtaposition. I thought it fit into the guilty pleasures category simply because I'd long since understood how treacly and in many ways awful a piece of music it was yet, when I encountered it here or there in the intervening years (likely more often than not over loudspeakers in a mall), I still felt fondly about it; it still evoked warm 'n' fuzzy feelings. So I went down to Tower on Thursday, not at all sure where to look for it (embarrassed to ask!) and, indeed, not certain whether the store had an Easy Listening section. Well, they do, up in the Classical Dept. and, lo and behold, there's a Paul Mauriat section. There were two discs containing the song; I chose the one with the gooier cover. And I've been in between. As always, an extremely enjoyable evening, even if suffused with righteously miserable music. When I began this thing, I intentionally told no-one (with the exception of Mark Forman simply due to discovering his existence as mentioned below) about it. I thought it would be an interesting little experiment to see who managed to find it on their own, if indeed anyone would. I'm an inveterate googler with regard to acquaintances of mine (and myself! ), often nosing around to see who's up to what. Since discovering the Google blog search, I check myself periodically and have found a few amusing references including things in Russian Cyrillic and other languages I've vaguely attempted to decipher. Last week, Dan Carlson, he of Record Club, claimed first prize when he googled on himself and Julia and my space was the only result. So, it took about a month and a half. The other day, Gerardo Alejos, doing a similar thing, stumbled across it. Very cool the way these things happen, I think. Figuring it might be a way in which to attract some of HS classmates I've been otherwise unable to locate, I hereby toss out a few names: Sue Hahn, Scott Crossley and Shirley Stuart. If any of you ever vainly self-googleize and find yourself here, please say "hi". 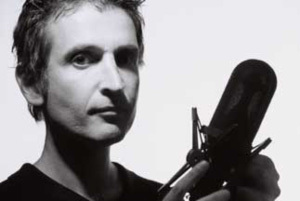 There's been quite a lot of fantastic music emanating from Down Under for the past several years, little more deep and beautiful than that created by Philip Samartzis. I first heard his work in duo with one of my very favorite musicians, Sachiko M, on their "artefact" [sic] from around 1999. I've kept up reasonably well since then and have consistently enjoyed what I've heard. If I can generalize about the sound organization that seems to occur "down" there, I'd say there's a strong emphasis on spatial separation. Many of the musicians are involved in installation work and that sense of roominess, of air between sounds, often permeates their recordings and to wonderful effect. Michael Graeves, Arek Gulbenkoglu, Will Guthrie (now in Nantes), Thembi Soddell and many more are all producing outstanding, vibrant work.